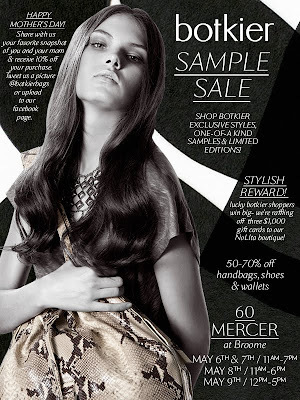 Sample Sale Alert: Botkier Handbags, Wallets and Shoes | Fashion. Style. Beauty. | Life is short. Live well. 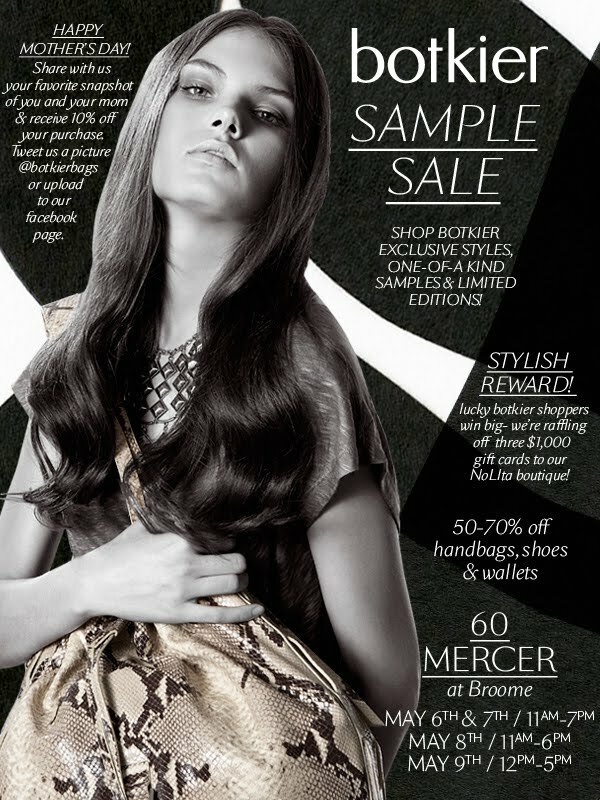 It’s sample sale time again! This time, it starts TOMORROW and run through this weekend (May 6th through May 9th) and it’s none other than gorgeous, amazing accessories label Botkier! Expect 50-70% off handbags, shoes and wallets. You can also enter to win one of three $1000 gift cards to their NoLita boutique! Get on that, like, post-haste. Details regarding times and location are contained in the invitation above. I’m traveling right now or I would SO BE THERE with you guys, so get your shop on and have fun for me! If you see the Brooklyn Snake Cross Body, send me a twitpic via @fashionstbeauty!